Following our local elections in which, happily, the three candidates endorsed by Positively Forward (Holman, Grove and Patrick) were successful in their bids to become elected officials, our coordinating group took a short break. Just time enough to recharge. We remain committed to conducting research to advance better local governance options, as well as monitoring the work and initiatives of our elected officials. We are also dedicated to keeping channels of communication open, with you our supporters, and with our CRD director, the two trustees, as well as with local commission representatives. All part of pushing for increased transparency and accountability within our governance system. We’ll keep trying. Third time lucky? Here’s another CRD news update: Director Holman has taken the first step towards pursuing the possibility of a Local Community Commission(LCC) on Salt Spring. He has raised the issue with the CRD Electoral Areas Committee so that other directors may familiarize themselves with the idea. Next step will be allocation of funding for a study. You may remember that the creation of an LCC was one of the top recommendations in a report on CRD administration on Salt Spring sponsored by Positively Forward in the fall. “There are things we can do, mainly through Development Permit Areas (DPA), but also by updating our Official Community Plan(OCP), and creating new land use by laws(LUB), but we need to have these instruments in place before the unwanted logging activities happen. These recourses have to be agreed upon by the majority of islanders after having been thoroughly researched and discussed. It is worth knowing that the Trust has developed an excellent Island Toolkit for Protecting the Coastal Douglas Fir Zone and Associated Ecosystems. Anyone interested in more information on what we are able to do should take a look at this. The latest report by the Intergovernmental Panel on Climate Change clearly states that there is a global climate crisis. It further states that strong action is urgently needed to limit global temperature increase to 1.5 degree C. The world is currently on track for more than 3 degrees C of warming based on policies currently in place. Unprecedented weather patterns have resulted in major, costly emergency responses by all levels of government. This trend is expected to continue unless greenhouse gas (GHG) emissions are dramatically reduced. A growing list of major cities around the world, including three in Canada (Vancouver,Victoria and Halifax), has joined an international movement to declare a State of Emergency focused on resolving our climate crisis. An effective climate emergency plan will mean achieving net zero carbon emissions by 2030. Obviously, a huge challenge, but within the realm of possibility IF all levels of government and local communities are willing to take the necessary actions. 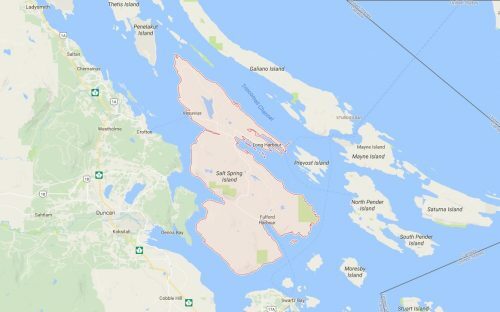 On February 13 of this year, the Board of the Capital Regional District voted to declare a climate emergency in the region, which includes Salt Spring Island. Hopefully, the Islands Trust will support this initiative by resolving to make the same declaration for the whole Trust Area at its Council meeting in March. If you agree, send an email to the Trust at: information@islandstrust.bc.ca urging them to make the emergency declaration.